*Execution Units/EUs: General purpose execution units. These are used for graphics rendering, but they are also suited to a wide range of media processing tasks. 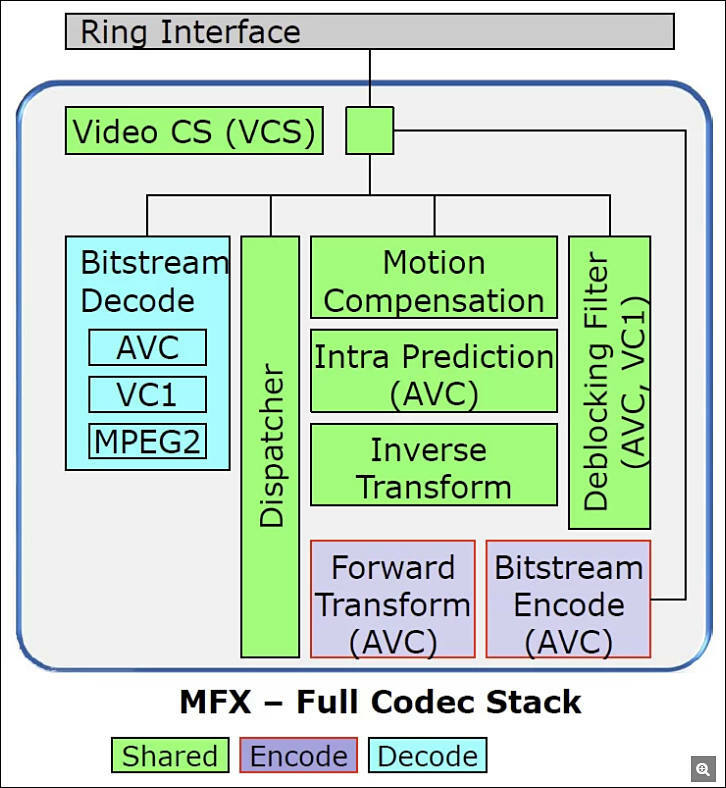 * Media Fixed Function: In addition, specialized fixed function hardware accelerates video codec and frame processing algorithms for fundamentally higher performance at lower power than the EUs or CPUs. 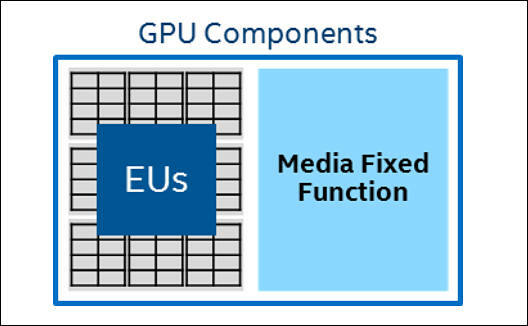 The basic unit of the GPU architecture is the subslice. 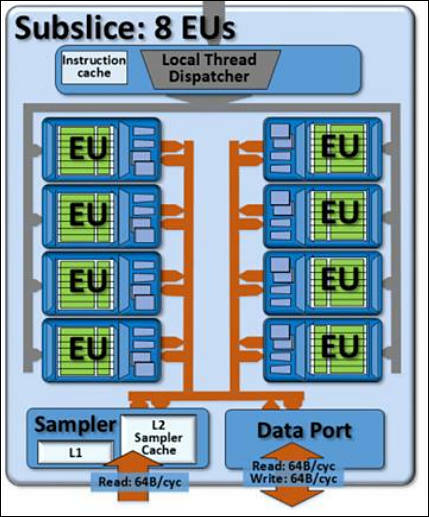 This contains EUs and memory components. They are assembled into slices. 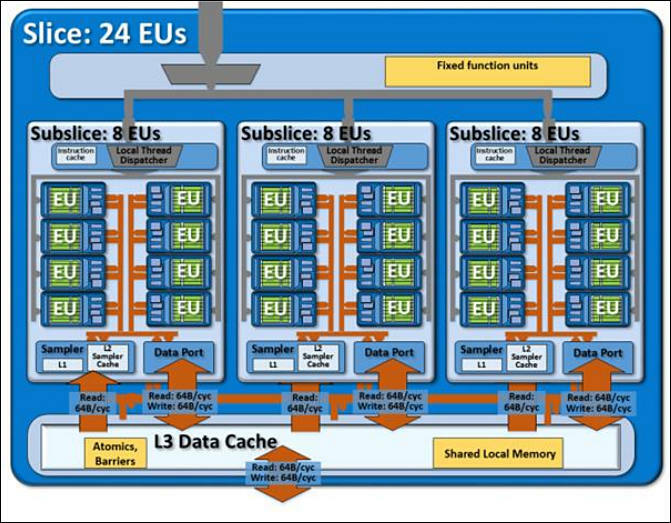 Execution Units are general purpose compute engines ideal for video processing uses. They are often used by encode for parts of the algorithm not run in fixed function like rate control and mode decisions. The samplers are also highly important to media tasks. They are used by resize and motion estimation. 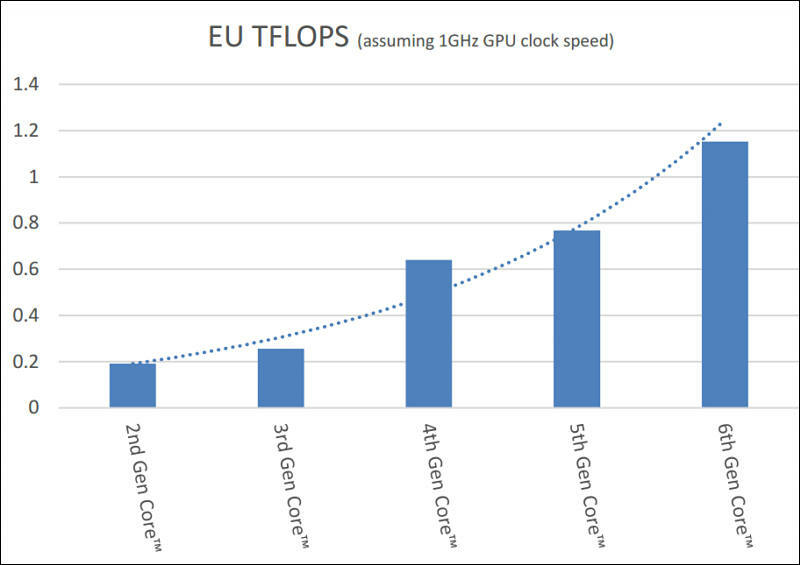 VEBox (also known as VQE) provides hardware acceleration for video enhancement/frame processing operations. 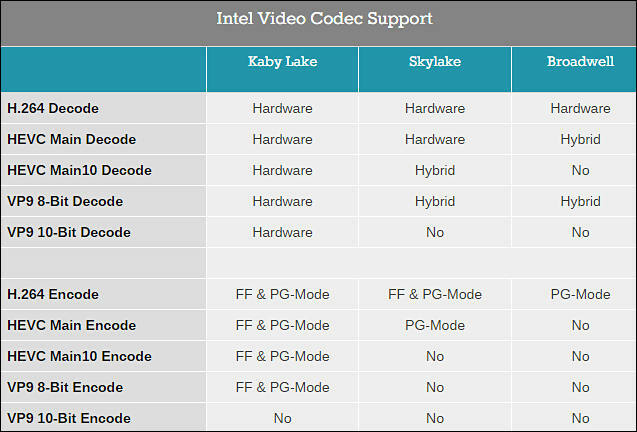 Note that 3770K already can decode multiple 4K H.264 streams.